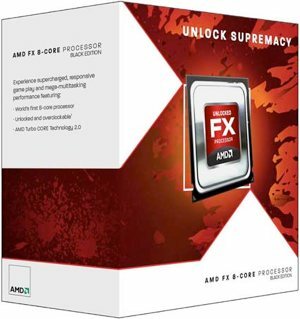 AMD has recently dropped the price of their flagship eight-core FX-8150, no doubt in response to the abundance of press that Intel has been receiving about Ivy Bridge. The high-end Bulldozer CPU can now be had for around €180 or under $250 stateside. The trend was first noticed at European retailers where the price dropped from €219 to about €180 but we are already seeing the price reduction cascade through US retailers. This puts the CPU in line with a mid-range quad-core i5 desktop processor of the Ivy Bridge variety but many are already questioning if it’s a case of too little, too late for AMD. As of writing, AMD has only slashed pricing on this single CPU and we’re unsure if the trend will continue across other chips in their lineup. It’s extremely plausible that we could see Llano parts receive a discount in light of a pending Trinity launch in just a few weeks. Intel unveiled Ivy Bridge as a “tick” in their tick-tock release model earlier this week. Real-world testing on the i7-3770K revealed that it was roughly in line with performance from the older Sandy Bridge i7-2600K in several scenarios although it did pull ahead in some tests. Performance with a discrete GPU was on average 17 percent better while power consumption dropped 11 percent. Ivy Bridge components are expected to be available for order starting April 29.